Trent Richardson took his time exiting the Legion Field turf early Sunday evening. That 2011 smile was back. So were the fans. Alabama’s former star running back took the long way to this hero’s walk off a professional football field. This was the expectation when the Cleveland Browns drafted him No. 3 overall almost seven years ago. 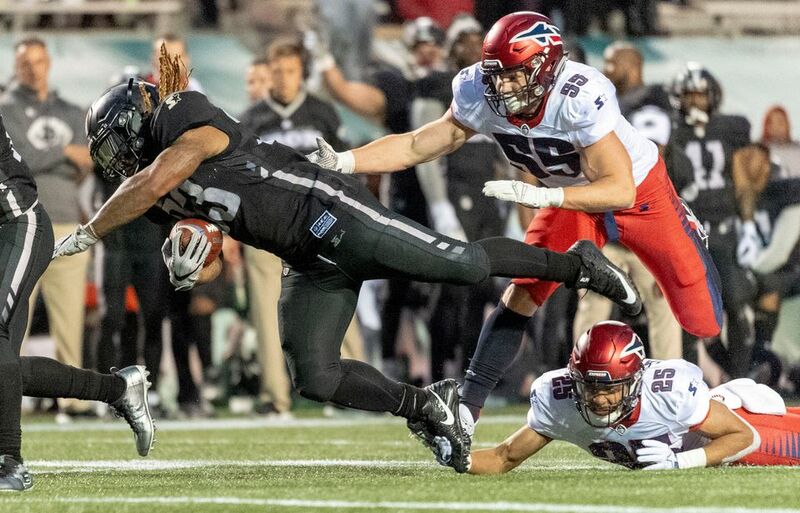 Yet, the Birmingham Iron star walked off through a shower of love after the team’s debut on a chilly afternoon in this historic bowl. They waited by the fence to show the love he once got running for 1,740 yards as a junior in 2011 when he finished third in the Heisman voting. 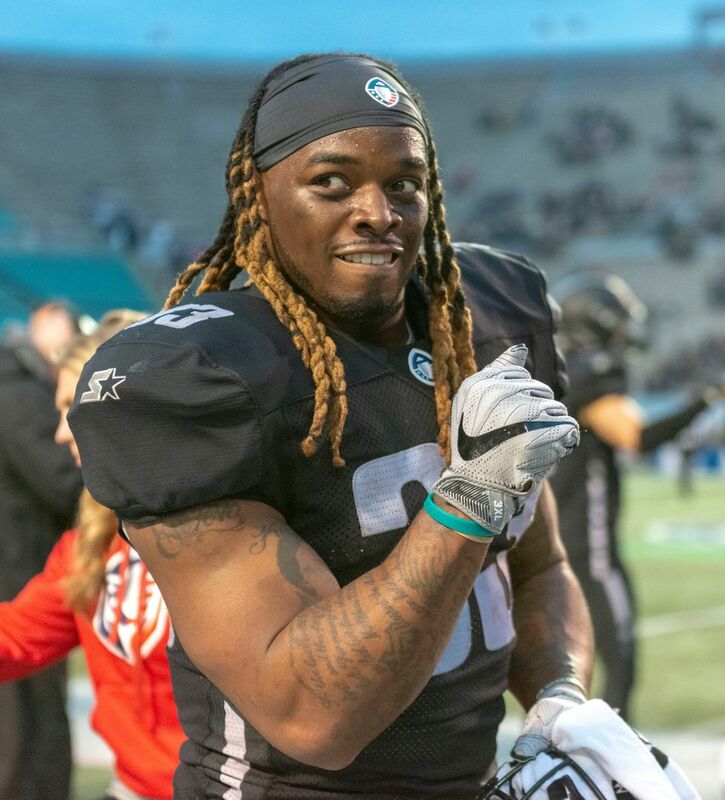 The numbers weren’t flashy -- 58 yards on 23 carries for a 2.5-yard average -- but Richardson scored the game’s only two touchdowns in a 26-0 win over the Memphis Express. At his locker a few moments after the postgame exit, Richardson was still living in the moment when he saw the fans waiting for him. There was relief in his voice. The last few years had not yielded the big return to NFL glory after getting released by the Colts in 2015 and the Raiders in 2016. The 2016 comeback attempt with the Ravens ended early in training camp and his 2017 Canadian Football League effort ended in injury. 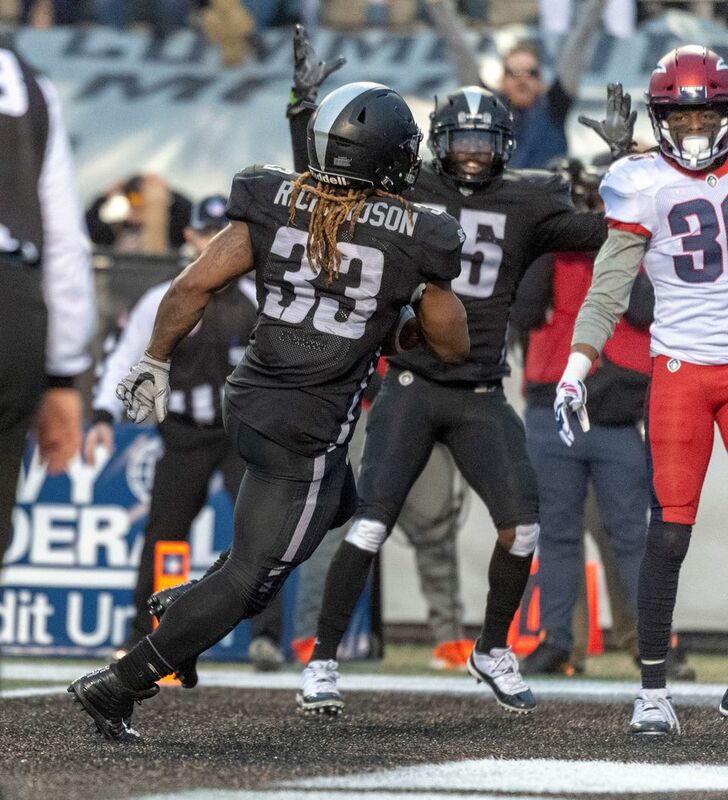 Former Alabama running back Trent Richardson celebrates as the Birmingham Iron defeated the Memphis Express 26-0 in the Alliance of American Football's debut at Birmingham's Legion Field on Feb. 10, 2019. 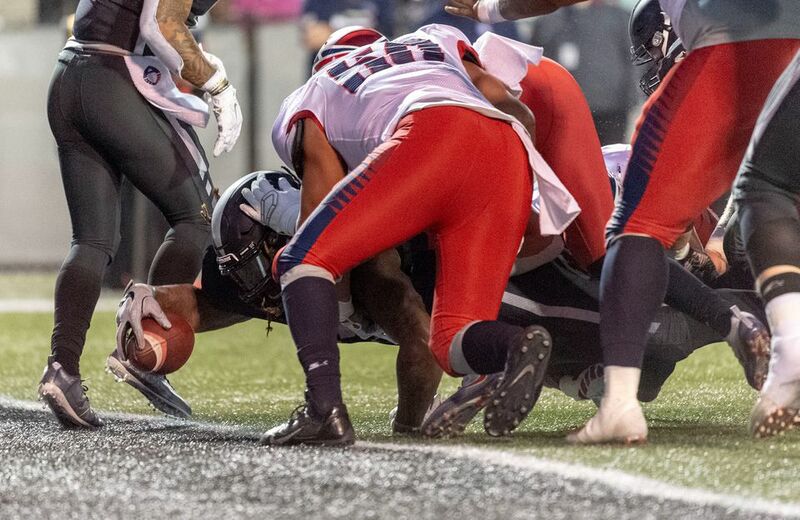 Former Alabama running back Trent Richardson dives for his second TD as the Birmingham Iron defeated the Memphis Express 26-0 in the Alliance of American Football's debut at Birmingham's Legion Field on Feb. 10, 2019. 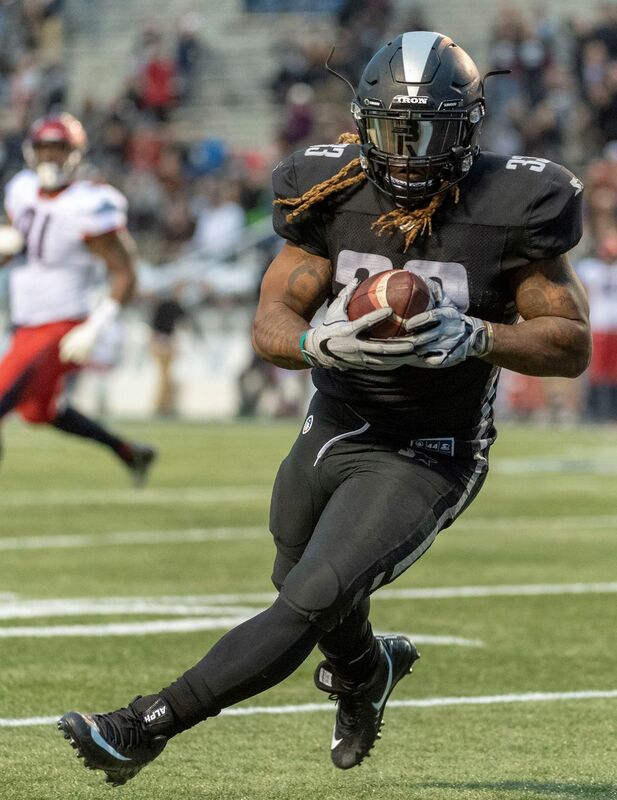 Former Alabama running back Trent Richardson scores the first touchdown as the Birmingham Iron defeated the Memphis Express 26-0 in the Alliance of American Football's debut at Birmingham's Legion Field on Feb. 10, 2019.